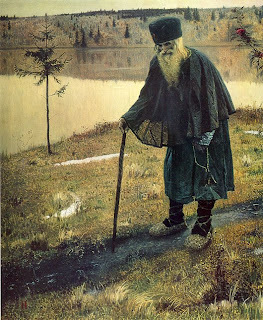 The first hermit was Adam, and, for a time, he wanted nothing; this is the natural mode of those in that profession. The last true hermit I know of was television detective Trudeau Trudeau: if you make the allowance (as I have) that the world in which he operated (the small, insignificant town of Lascowe, Manitoba) was an allegorical world of phantasms that didn’t, in fact, exist, but served only as a metaphorical representation of his soul. The men and women that he dealt with were not as they appeared (crooked landowners, poachers, murderers, smugglers and loggers) but demons, and his was the most eternal of struggles. To accept payment and bribes from the cast of scoundrels and malcontents who offered them would be as bad as accepting death or destruction from the hands of those who willed it. A compromise would mean nothing less than complete forfeiture, a full transmigration of his soul into the body of just another phantasmal demon. Far be it from me to suggest that you have undergone your own transmigration, and that the words you are reading now are being probed by twisted, arcane eye-stalks, or being handled with red, veiny fingers that end in long claws. If you are a demon you probably do not know it. But you are very certainly a demon: especially if you do not live the life of a hermit, or at the very least that of a particularly devout monk. I don’t care whether or not you have religion, or if you subscribe to any particular belief system (I have one and it is not Christ, though I find it useful to associate myself with Him), what I care for only is the purity of your desires. If you live in a large cosmopolitan city, with wide boulevards, numerous restaurants and shops, and ample outlets for all of the pleasures of the body (in other words, Chanto), I find it hard to believe that you can be anything else but completely subjugated to all of your wild achings and fantasies. It may not be impossible, but it is very difficult: especially if you are weak-willed (as most of you are) or find yourself in the presence of large amounts of money, for money is nothing more than a contract for the satisfaction of future aimless desire. For eighteen years (as long as I have existed) I have dedicated myself to the complete eradication of trivial and inconsequential needs. I am a man unchained; if you do not believe me, you might ask my parents, for I still live with them and they see me every day (besides being proof of the worthiness of their testimony, in itself this is a meaningless detail). The only needs they meet are the most essential, and I can confidently assure you that I provide for myself when it comes to anything spiritual. I have taken my first steps as a hermit already, and there is no doubt that some of you might have heard of me through these actions. It does not dishearten me to hear that I am openly mocked for my single-handed assault on hypocrisy, that I am laughed at for my (as I’ve heard them described) petty disagreements on semantics, morality, or indulgences, as well as the somewhat more pointed acts of flipping over card-tables and disruption of carts selling worthless, distracting, trinkets at market. What concerns me most is the purification of the phantasmal world that I am part of, even if that world is large and unconquerable, and my quest one of Sisyphean impossibility. It is good training. As a child I realised very quickly the necessities of my situation, and set myself firm and unstraying from that path: I have read and digested numerous books on survival in cold climates; my english is very good, and I believe that (in some quarters) I am known for it; every day I prepare myself with a sermon (an episode of Trudeau Trudeau!— no doubt you’ve missed its rich metaphysics) and its active study. In short, I am very near to realising my desire. What I could I accomplished on my own, what little else I needed (and could not be avoided, such as my plane ticket) I received from the charity and support of my parents. This letter I consider a gift, to all the citizens of Chanto and the surrounding country. It is an alarm. It is notification of my departure. Very shortly I will be leaving for the very edge of the world, the northern frontier. I have picked out a point of arrival: the small and remote township of Anvelle, Ontario. Its size is deliberate: the phantasmal world of demons will be manageable, perhaps even conquerable. This is my final goal, which I recognise may take years; my entire life, perhaps. Whatever suffering I undergo as a result, whatever hardships, will be penance for the final cleansing of my soul. I say that this is an alarm for two reasons: one is it is never to late for you to pass back to the plane of reality, and through long struggle, purge your world of its demons. With my departure, your warnings will become obtuse and very few; you will not have my help to decipher them. The second alarm is for the whole of Chanto: as a city you have become impossible. Much work needs to be done. Commerce will have to be muted. Inharmonious and easy leisure will have to come to an end. Your spirit cannot be bought by pleasure. It must be worked at and tempered by suffering and noble action. For Chanto to become a city worthy of habitation, all of these things must be considered and put into action. For my part, I leave you. You are very respectful! I appreciate that!! !